A Christian marriage is a union between three: husband, wife, and God. We stand before God and profess our love for each other: for better or worse, for richer or poorer, in sickness and health, for as long as we both shall live. At that moment, we believe every word; we think nothing can cause us to want to be anything but married to the man or woman standing in front of us. But is it really possible, in the 21st century, to commit to or live out our vows? As each day goes by, it seems more and more as though the general opinion of the world is that marriage is a myth or a temporary state. The world does not expect that a marriage can last, at least not happily. In general, I have to admit that they are right; most marriages are temporary. Most people, even good Christian people have bought into the opinion of the world that marriage is something that can be traded in when we are unhappy with it. As soon as the going gets tough and there seems to be no hope, one or both spouses’ see ending the marriage as the solution. The devil has done quite a number on our society; he has made good Christian people think things like “the children will be better off” or “we have grown apart” or “we do not love each other any more” or “I don’t deserve to be treated this way?”….The list of reasons that marriages end is fairly long, but you get the picture. Let’s rewind, back to your wedding day. The day when you stood at the front of the church facing your spouse, hand in hand, you said your vows: “For better or worse, for richer or poorer, in sickness and health, for as long as we both shall live.” These vows were not just said to your spouse in front of your family and friends. They were said in the presence of God, to God, and with God. There are 3 people in a Christian marriage, and thank God the 3rd person is HIM! HIM who can sustain us when we do not have the strength, HIM who can hold things together when it looks like there is nothing left. HIM who has a plan for our marriage, and HIM who supplies the grace to make it happen! A Christian marriage, with God as the 3rd person, supplies us with a supernatural assistance or grace. Supernatural, because we are able to accomplish and sustain our marriage BECAUSE God is a part of it. Without God it would not be possible to sustain our marriage for better or worse, for richer or poorer, in sickness and health, or for as long as we both shall live. Being a Servant Spouse is all about tapping into the power of God daily to guide, direct, and when necessary, save our marriage. It is the power of God (His Grace) that helps us stay committed to our wedding vows even when it seems our marriage has fallen apart. So, if God is the 3rd person in our marriage and He provides the grace to sustain our marriage in challenging times, why then do so many Christian marriages still fail? My experience with my own marriage and with couples we have worked with is that Christian marriages fail because we stop believing that God will save our marriage. When this happens the foundation of our marriage crumbles leaving an opening for the opinions of the world to take hold. We begin to allow doubt to overtake us and our faith that things can turn around disappears. Usually this is not a conscious decision to cut God out of our marriage but more of a focus on personal happiness that slowly nudges God and our spouse out of the picture. While there are 4 parts to the typical marriage vows, I believe that understanding the first vow will help us endure and succeed in all 4 vows. So lets look at “For Better or Worse” and how God helps us persevere to stick it out in the “worse” of times. When I said for better or worse on my wedding day, I expected we would have some good days and some bad days. I imagined the good days to outnumber the bad, and I expected that the bad days would be temporary. I also expected that the love between my husband and I would help us weather the storm of the bad days. I expected that my husband and I would argue and disagree and I assumed the source or underlying cause of our bad days would be something external to our marriage. Something bad we had to endure together: the loss of a parent or child, the loss of a job, the sickness of a loved one, a crime perpetrated against us, etc. I think most couples assume the same. I did not expect that the bad days could be caused by my marriage falling apart or that the “worse” in FOR BETTER OR WORSE could actually be my marriage itself or my spouse. I definitely did not expect to endure many, many years of marital suffering or feeling like I was drowning in my marriage. The crazy thing is that even though you and I might not have expected that our marriage or spouse could be the source of the WORSE, we still promised to stick it out “for better or worse.” We never said “for better or worse” UNLESS ……..! In front of God and with God we said unconditionally, “FOR BETTER OR WORSE.” The good news, no the great news, is that not only did we as spouses promise each other, God made the same promise to the two of us. God is part of the package. Meaning we are not in this alone; it is not just up to us to save our marriage. We have help. God wants our marriage to succeed, and He will save it if we allow him the necessary time to do so! When my marriage was a wreck I had to come to the realization that God had a vested interest in saving my marriage. 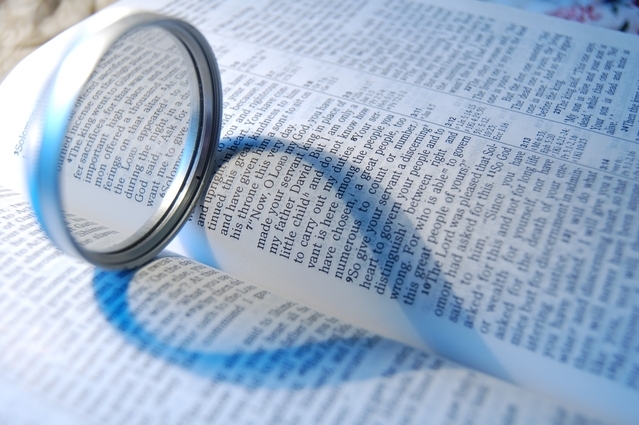 What is God’s vested interest you ask? It is His promise! He does not break his promises and he promised FOR BETTER OR WORSE. Once I realized that my vows were unconditional and that God had a vested interest in saving our marriage I was able to choose to stay married, to ride out the storm, no matter how long it might be. Instead of focusing on all of my doubt, I chose to focus on the promises God made in scripture and the promise I made to my husband and God on the day of our wedding. 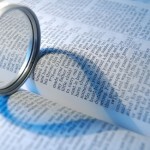 In scripture Jesus says that marriage is indissolvable, unless unlawful (Matthew 5:32). I knew my marriage was lawful (I entered into it with full knowledge, without coercion, and with commitment), so I concluded that my marriage was indissolvable. Scripture also says that we should expect to suffer. (See The Role of Suffering in Marriage for more). In 2 Timothy 1:8, Paul says “Do not be ashamed, then, of the testimony about our Lord or of me his prisoner, but join with me in suffering for the gospel, relying on the power of God.” To my marriage this meant that we can only endure our marital sufferings if we rely on God’s power. Even when the bad days make our marriage feel like a prison, God’s supernatural assistance or grace is what allows us to persevere even when we believe it is not possible to go on. As a Christian spouse our job is to help our spouse get into heaven and to love our spouse the way that Christ loves his church. So when we said “for better or worse” we were really saying “I will love you for better or worse, no matter how bad the bad days get. I will never give up on you. If tragedy strikes and you change into someone new, I will choose to love the new you. If you ever loose your way and turn your back on God, or me I will still be here. If you ever mistreat me (I might move out temporarily) but I will be patient and persevere through to the end, because I trust that God will always have a plan for us. No matter how long it takes, I will be with you, waiting for you to come back to me or back to God. My love is unconditional and without end!” If you knew on your wedding day what “for better or worse” really meant, would you have been able to say it? I cannot speak for you but I think you would have; I would expect the love you felt on your wedding day to be large enough that you could have said it and meant it. The next question is, how do you feel TODAY about that extended definition of “for better or worse” as stated above? Does it make your stomach churn? Do you think it is too big of an ask? I think if you search your heart and your soul, you will realize that this more extended understanding of your wedding vows might give you comfort and courage. Comfort that you are not alone in the difficulties of your marriage and courage that you can tough it out! That God has your back! Helping our spouse get into heaven and loving them as Christ loves his church is not a small task. It is a very large one; one that can only be tackled with God at our side. Our personal path to holiness is paved by the sacrifices we make for our marriage. Instead of focusing on how difficult all of this sounds, instead focus on how necessary it all is for your personal growth in virtue and holiness. As we strive to be more like Christ in our daily lives, we are forced to recognize that taking the easy road won’t help us grow in virtue or holiness. It is the long and difficult road that molds us and helps us grow in virtue and holiness. So instead of being scared of how big all this sounds, focus on how necessary it is to live out our marriage vows even in the “worse” of times because it is in the “worse” of times that we grow the most. Keep in mind that this site, Servant Spouse, and all of it’s content is created and posted by someone who has experienced the very difficult times and saw how God’s grace delivered them from desperation to Godly happiness. Our goal in posting any of the information we post is to inspire you and encourage you on your journey to committing to your marriage vows. We know how difficult marriages can be and how sometimes there appears no way out except divorce. Please know that if you have been divorced we are not judging you but we want to encourage you that your current marriage can have a different outcome and if you desire, even your past marriage can be resurrected. Our greatest hope is that our experiences can help you stay committed to your marriage vows at all times and especially in the difficult times. Make a commitment to your vows. If your spouse is willing, say this extended for better or worse vow to each other. If your spouse is not willing to say it with you, say it as part of your personal prayer time. And remember that having to say this vow by yourself is only evidence of the “worse” time and your opportunity to grow in virtue and holiness; dig deep and find a way to be grateful for the opportunity to grow in holiness J. 1613 On the threshold of his public life Jesus performs his first sign – at his mother’s request – during a wedding feast.105 The Church attaches great importance to Jesus’ presence at the wedding at Cana. She sees in it the confirmation of the goodness of marriage and the proclamation that thenceforth marriage will be an efficacious sign of Christ’s presence. 1615 This unequivocal insistence on the indissolubility of the marriage bond may have left some perplexed and could seem to be a demand impossible to realize. However, Jesus has not placed on spouses a burden impossible to bear, or too heavy – heavier than the Law of Moses.108 By coming to restore the original order of creation disturbed by sin, he himself gives the strength and grace to live marriage in the new dimension of the Reign of God. It is by following Christ, renouncing themselves, and taking up their crosses that spouses will be able to “receive” the original meaning of marriage and live it with the help of Christ.109 This grace of Christian marriage is a fruit of Christ’s cross, the source of all Christian life. H.O.P.E. for Marriage and Much More…..Check out HOPE IN A BOX (www.hopeinabox.com). 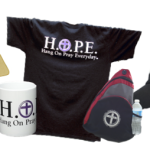 They have lots of inspirational gift items to help you and your loved ones to H.O.P.E. (Hang On Pray Everyday). This entry was posted in Being A Servant Spouse, One Foot Out The Door - Crisis. Bookmark the permalink.